For the first time Montenegro enters the Eurovision Song Contest as an independent country. Due to the separation of Serbia & Montenegro each country tries it’s own way now. Like all the other ex-Yugoslav countries Montenegro will profit from the feared “Balkan connection”. Altogether six new countries have been entering the Eurovision Song Contest since 1993, as there is no Yugoslavia anymore. And it’s definitely an enrichment to have those highly motivated countries in the community. 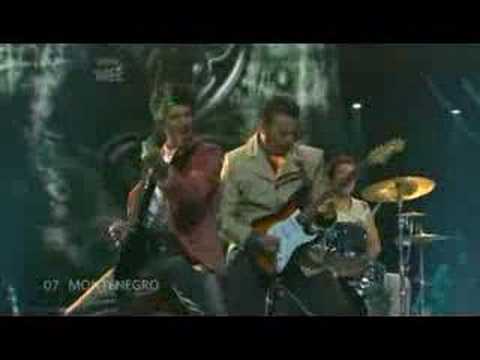 As a debut song, Montenegro is going to show a us rock song. It’s probably that kind of music you are going to listen, when you ent a disco in Podgorica. We wish Montenegro all the best for it’s the debut.